Affordable, Vintage-Style Bicycles: What’s Around Today? There is nothing more satisfying that cruising on a beautifully restored vintage style bicycle. A true throwback beauty is classic, timeless and gets tons of looks. The only problem? A genuine vintage or antique bicycle costs a fortune these days! We’ve already looked at ways to find a vintage bike to repair, and how to spruce up its looks without busting the bank. If neither of those methods work, you might consider a new bike with old-school looks. If you’re a fan of vintage style bikes like me, but you have a limited budget, you are in luck. This style is crazy popular and brands are paying attention. There are many beautiful rides available in a gorgeous vintage style, except they’re brand spanking new. Mimicking the lines and features of cycles from days gone by, old style bikes are making a real comeback. It makes sense: people long for a time when life was simple, when carbon fibre and cell phones didn’t exist, and when a bike frame had a classic geometry and minimalist good looks. Here’s the problem: because the retro style bicycle frame is so popular, everyone and their dog is jumping on the bandwagon, including lousy manufacturers. The difference between a home run and a strike? It’s all in the details! This article will be taking a close look at a handful of my favourite vintage-style bicycles for sale today. Primarily, I want to point you to a few rides that are not only good looking, but beautifully functioning too. So What Defines a Classic Style Bicycle Anyway? Vintage, classic and retro styles all sort of bleed into one another, especially in the case of the bicycle. There are a lot of different bikes that market themselves in this niche, but they don’t all reflect a truly antique silhouette. So what constitutes a truly retro-styled bike? Urban / Commuter Use: The original safety bicycle featured a simple diamond frame and was built for general use. That trend actually continued up until fairly recently. There weren’t as many purpose-built types of cycles (such as mountain, road, cyclocross, etc), and unless you were a racer you likely sported a standard ride.For that reason, most vintage styled bikes these days are built and intended for commuting and urban riding; if you’re hoping to ride trails or race, you’re out of luck. Upright Riding Position: Most classic, old style bicycles had an upright and comfortable riding position; they were intended to get you around town. Most classically-inspired bikes will therefore have a similar stance.One exception is the path racer style, which was the antique equivalent of the modern road bike. These have a more aggressive riding position and low swept handlebars. Path racers are also making a comeback. Function and Form: In its early years, the bicycle was more utilitarian than it is today. Not everyone could afford a car, so a bike was a simple, cheap and effective means to get to work or grab groceries.Most vintage style bicycles for sale today will therefore feature a lot of functional accessories: integrated baskets and racks, built-in headlamps, and chain guards to keep your nice work clothes from getting greased. 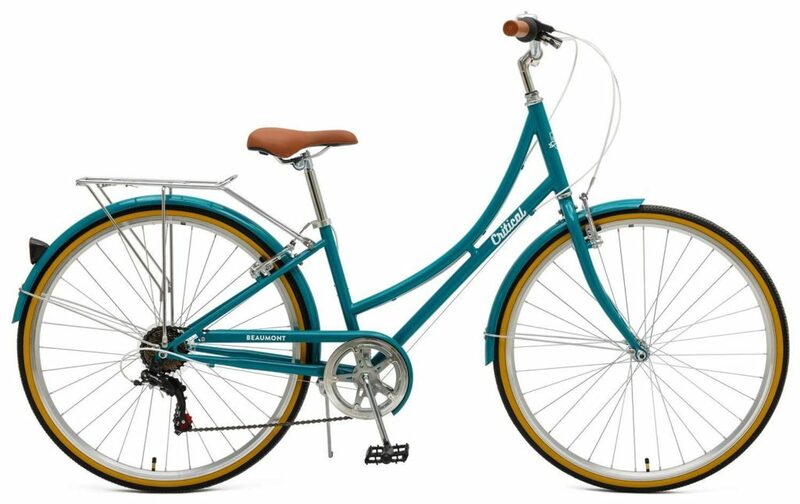 The Pure City Classic is an extremely affordable vintage style bicycle that also looks pretty great. It’s not a replica vintage ride and thus it features some modern elements, but the price tag is so low it makes it an affordable, worthwhile choice for vintage enthusiasts. Let’s get into the details. The Classic, in keeping with its namesake, has a traditionally-shaped diamond frame that’s intended for an upright riding style. It’s the perfect shape for a path racer conversion. The frame is made out of high-tension steel, while the fork and downtube are extra-strong chromoly. It’s very durable, honestly a tad on the heavy side (though not so heavy as to be annoying). The frame welds are pretty excellent for the price point. It’s not a lugged frame, but it still pulls off that retro feel, especially in the non-matte paints. It’s a clean-cut frame that will get you some looks. As for shifting and braking, this bike comes with a Shimano Nexus 3-speed internally geared hub, or an 8-speed version with a standard derailleur. The Nexis is a particularly nice hub that shifts quite smoothly, and you can even shift gears on a hill. Three speeds isn’t a ton, but unless your ride takes you over lots of hills, it’s sufficient for most commutes. If you’re concerend, go for the eight. The shifter for both is a grip-twist style. The brakes included are linear pull V-brake on the front and back. When nicely tuned and paired to the machined sidewall rims, this bicycle stops reassuringly. The bike is nicely decked out with accessories. There is a simple chain guard which really gives the ride a vintage appeal. There are front and rear fenders, and the seat tube is drilled to accept a bottle holder. The other thing I’d change right away is the vinyl saddle. This is a vintage style bicycle that would look a lot better with a leather Brooks saddle or something similar. That’s just me. Other details worth noting: The bicycle runs on slick hybrid tires, and the wheels feature sealed cartridge bearings, so they spin quite well. Oh, and it comes in a Dutch step-through frame style as well. On the whole I’d consider the Pure City Classic to be a good vintage-styled bicycle for sale, with the understanding that it needs one or two simple upgrades in order to be a show-stopper. For anyone who’s looking for a retro inspired bicycle with tons of usability, I’d point you towards the Hollandia Amsterdam. It is a gorgeous yet practical bike with classic lines and modern accoutrements. They’re handmade in China, and the build quality is quite good. The frame is a classic diamond style, but you’ll notice a prominent feature: the double top tube. This is more of a stylistic nod to the classic, vintage Dutch bicycles of days gone by than a structural thing, but I really like it. The inclusion gives the whole frame a strong visual interest; you’re sure to get tons of comments and looks. The frame is made out of high tension steel. It’s not as light as aluminum, but it is very strong, particularly with that double tube. 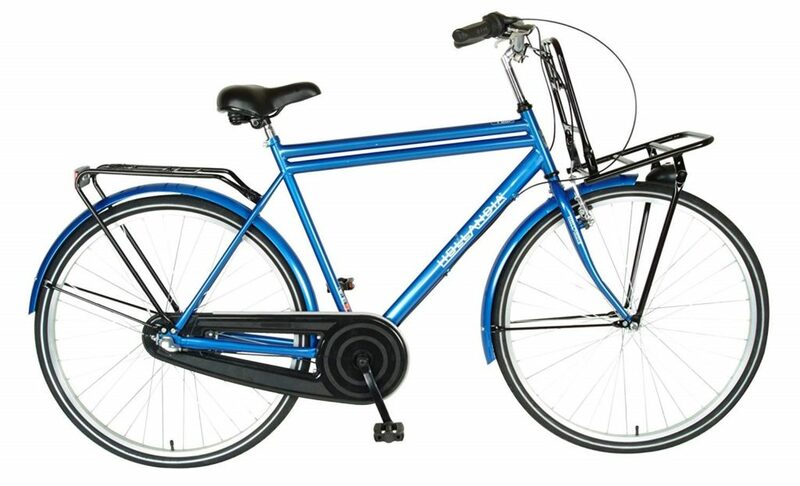 The Amsterdam M has a 3-speed Nexus rear hub, which gives you a good gearing range for most types of riding. Like most 3 speeds, it’s not the best choice if you live somewhere that’s extremely hilly. However, it will work well for most commutes. The Nexus allows you to shift at a standstill, and it’s practically noiseless. It features fairly rudimentary linear pull brakes on the front, and a coaster brake on the rear. They combine to get the job done. I should mention that this bike has 28-inch wheels. That’s larger than usual, and indicates a higher top speed. A prominent feature in this inexpensive vintage style bicycle is the full chain guard. Chain guards were popular with classic European and Dutch-style bicycles. It’s a gorgeous little addition that makes the bike look expensive. It’s also practical, preventing dirt and water from reaching the chain and reducing its lifespan. My favourite thing about this bike? It includes a front and rear luggage rack. Both are removable and optional, but why wouldn’t you keep them? 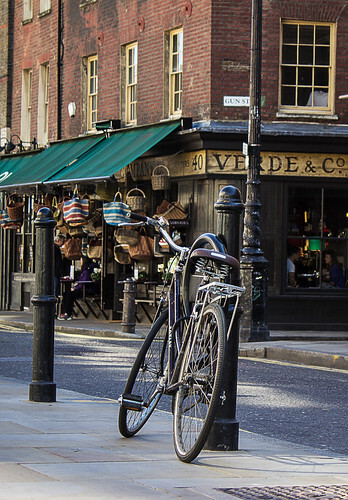 They give the bicycle even more vintage flair, and they’re eminently practical. Pop a basket on that front rack and you’re ready to shop. What would I change? The vinyl saddle is fine but I’d swap it out for a leather one. I’d also definitely get a good basket or wood storage crate for that front rack. On the whole, however, this is a very ridable bike right out of the box. Hollandia offers many vintage-style bicycles for sale for a very good price point, and they’re all worth a look. If you’re hoping to find a few vintage style city bicycles with a wider range of gears, you’re in luck. While many have internal hubs limiting them to 3 gears (to maintain a clean chainline), there are quite a few good models that combine classic good looks with a modern derailleur system and many gears. The Critical Cycles Beaumont is a beautifully minimalist ride with loads of potential for you to customize it. Don’t let the simplicity fool you: this is a well equipped bicycle. It has a strong diamond frame constructed of high tension steel. This frame is available in a bunch of different colour combos. Additionally, it’s available in both a male and female frame, the only difference being size and the dropped top tube for the ladies’ model. Despite its throwback looks, it is a fully modern cycle. It has 700c aluminum alloy wheels, which fit a pair of generous 35c tires. You could size up or down a little bit based on your tire preferences. It utilizes front and rear linear pull brakes (V-brakes), which stop the bicycle nicely when they’re properly tuned. The rear derailleur is a pretty basic and common Shimano Tourney, with seven speeds to choose between. It’s not exactly high end, but it does the trick. The shifter itself is a Revogrip Shimano twist. The seven gears give you a ton of versatility, especially if you live in a hilly city. The Beaumont includes front and rear fenders, and a rear luggage rack. The rack is removeable, but I think it augments the vintage appeal. Plus it’s practical. The saddle is vinyl, but it does a decent job of mimicking a classic leather seat. I would probably upgrade the saddle and the shifter eventually if you have the funds. I’d also suggest repositioning those handlebars down as far as possible in order to give it a more sporty look. Probably the greatest advantage is price. This bike, and most other Critical Cycles, are cheap. On the whole, the Beaumont is one of the best vintage style bicycles for sale today. While I’m pretty excited that the classic bicycle frame geometry has made its way back into the public consciousness, I’m also a bit concerned by what I’ve been seeing. Sometimes flash and dazzle is used to snag buyers who don’t really know what to look for. It’s sort of like buying a fancy looking mountain bike from a department store: it looks impressive, but for any real off-road riding, it’s trash. The same is often true with vintage inspired road bicycles of all types. The frame and paint job are used to mask shoddy components and poor fit and finish. Here are a couple of things to be wary of while you’re hunting for the perfect fit. Component Quality: It’s a important thing to be aware of. Are the components brand name, or are they nameless? Are the components made primarily out of plastic or metal? What kind of metal? These are all indicators of the quality of the components. If you aren’t sure, ask a friend in the cycling world to give it a look-over before buying, especially if you’re making the purchase online. Frame Material & Weight: In most cases, your frame will be made of one of two materials: steel or aluminum alloy. Steel is heavier and cheaper, and aluminum alloy is lighter but more expensive. Why does this matter? Weight is a subtle factor in your riding enjoyment. A heavier bike takes more effort to pedal. Don’t believe me? Take a spin on a $3000 carbon road bike and tell me you don’t notice a difference! My son just dropped off the first good bike I purchased from a local bike shop. A used Raleigh Grand Prix. I upgraded to alloy rims and a Brooks saddle. I passed it on to my son hoping he would get the touring bug like I did. Do you think this might be a candidate for restoring?? Just finished rebuilding a 60s-70s era hiawatha. Got it cheap but it has top grade replacement brakes and shifters up graded. Only down side is it weighs 38 lbs. Oh well, more exercise for the buck! I would love to find one just like it with aluminum frame, titanium crank, and alloy rims. I like the up right ride, and the rake of the forks, not as tight as my 82 motobicane. Does anyone make bikes that resemble the classic Schwinn Stingrays of the 1960s? Micargi is the only maker I can find with their “Hero” Beach Cruisers but I’m concerned about the quality. It’s for my 15 years old son. Thanks! Micargi is the only brand I can think of off the top of my head that’s focusing on this style. And they honestly aren’t bad. I’m assuming you mean the banana seat style, not the chopper style, right? The Hero seems to have 20-inch wheels, which might be on the small side for a teenager. If you’re looking for Schwinn lookalikes, maybe check out the Falcon GTS? I’m learning about bicycles and I’m fascinated by vintage bikes I would love to sign up and get anything you would like to send me through email! Much thanks Rob Mayer Winston-Salem North Carolina I thank you so much and have a good day hope you get out to ride! 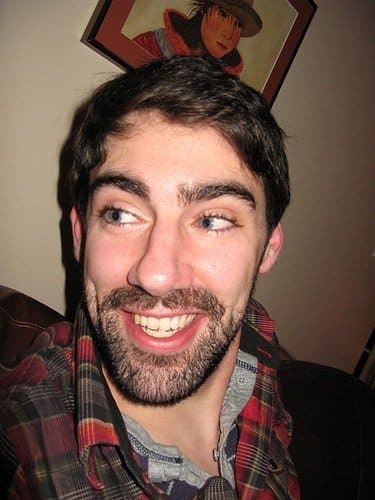 Hello Rob, no email list yet, but I’m glad you enjoyed the article! Thinking about setting up a forum, would you be interested in that? Keep checking back in. Hi, I am looking at the retro style bikes and want to choose wisely. One of the onesI am looking at is the Giant (LIV) Suede I. Are you familiar with this and is this a bike whose components would hold up? I do ride quite a bit. 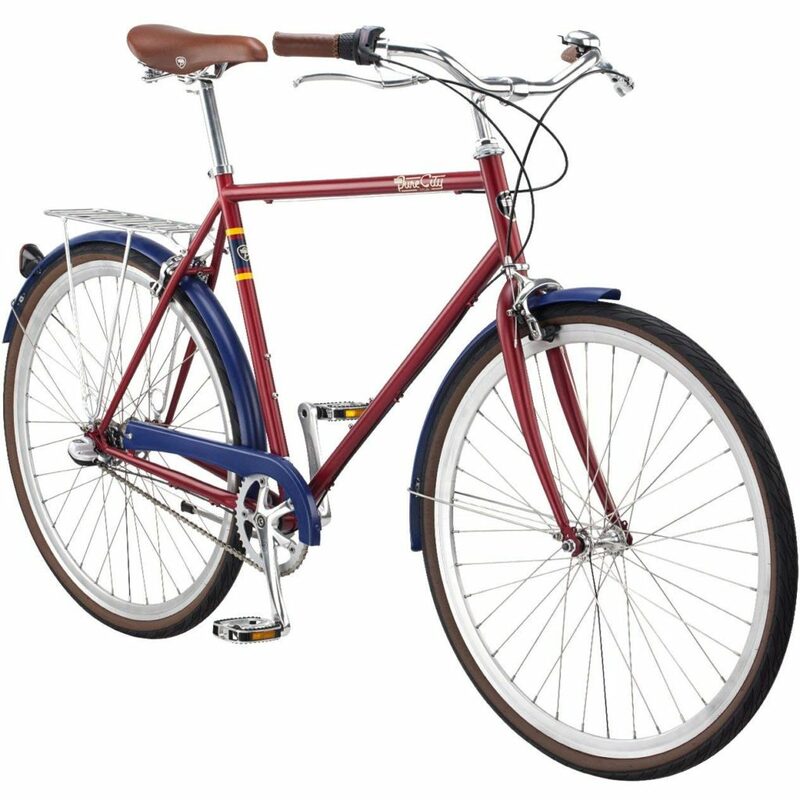 Hi ConniJ, the Liv Suede is a nice, basic bicycle, great for recreational cycling. Giant is a good brand too. From a riding position standpoint, it’s probably not the best choice for daily commuting (unless your commute is short, or not very strenuous). If you’re after a commuter, let me know and I’ll offer some alternatives! If it was comfortable for 5 miles, I’m sure a 15 mile ride would be fine too! Have a 1961 schwinn Panther, any suggested sites for parts. Just starting. Thanks. Hi Gregg. Ebay! 🙂 It’s still one of the best places to pick up OEM replacement parts. Bicycle Heaven (dot com) has some great stuff too. Good luck! You think old, I have a old there wheel trike I get around in down town tucson arizona. Thanks for the lock info as well. I am looking for a bike with a basket and found the XDS Nadine City 7. Do you know anything about this bike? Would you recommend it? Hi Lynne, I haven’t seen it up close before, no. I checked out the stats though, seems like a decent comfort bike. The components are basic, but the reviews are pretty solid. Probably a good choice. Remember though, you can buy and install a basket on pretty much any bike out there! Will- What do you think about the Public C7 bike? Hi Celine, they’re great! Nice looking bikes. Definitely not suited for a longer commute though.